CHARLESTON, W.V. 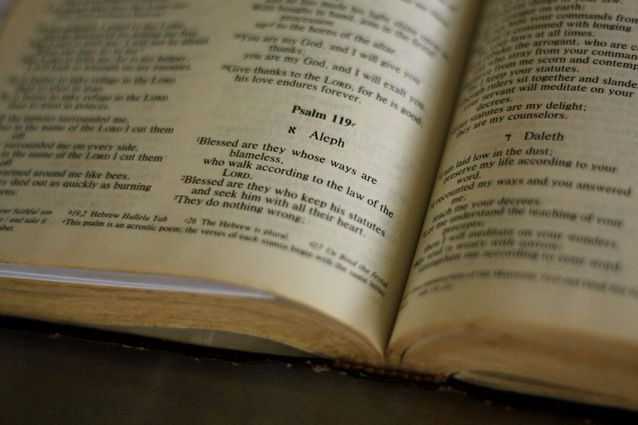 — A lawmaker in West Virginia has introduced a bill that would make the Bible the state book. H.B. 2568 was presented by Jeff Eldridge, D-Lincoln, who serves in the state House of Delegates. It amends the Code of West Virginia to add a new section that recognizes the Bible as the state book. “That the Code of West Virginia, 1931, as amended, be amended by adding thereto a new 2 section, designated §2-2-14, to read as follows: §2-2-14. Official state book. The Holy Bible is hereby designated as the official state book of West Virginia,” it reads. The bill has 10 co-sponsors, including Del. Ken Hicks, D-Wayne. However, when asked if the bill would constitute endorsing one religion over another, Hicks, who identifies as a Christian, stated that those who disagree with the measure should make their opinions known to their representatives. While the bear has been recognized as the state animal, the apple as the state fruit and “Take Me Home Country Roads” by John Denver as being one of the state songs, no publication has yet been regarded as the state book. The measure is currently in the House Judiciary Committee.